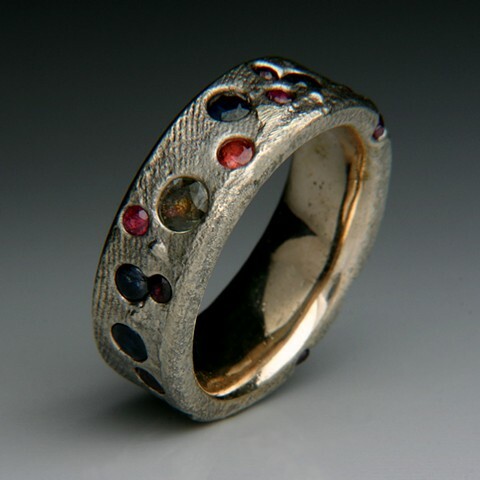 .98" x .98" x .32"
8mm wide band with 10 Sapphires and 9 Rubies. Ring is made of 75% Sterling Silver and 25% Copper. If you need another size, one can be made to fit. This ring can be made in other metals or with Diamonds, Rubies, Emeralds and or Sapphires there maybe be an additional cost.